Japanese Prime Minister Shinzo Abe’s three-day visit to India, starting December 11, came with strong diplomatic overtures. The visit came second in the row in less than two years concomitant with Japanese Emperor’s visit in 2013- reflective of the importance that Japan attaches to India. The context to this visit is very strategic in its orientation. Wherein, the long-standing trusted cordial between India and China runs parallel to the changing dynamics of the international system, as the strategic calculus between the two countries serves the key rational to counter-balance the growing clout of China. Given this state of affairs, the equation between Indian PM Narendra Modi and his Japanese counterpart Shinzo Abe, aims to extrapolate the relations from economics to that of strategic. That is, changing the camaraderie to that of a partnership vested with realpolitik goals. As PM Abe said a “strong India is good for Japan and a strong Japan is good for India”- staging the high politics as the need of the hour. Image Attribute: The Former Indian Prime Minister Shri Atal Bihari Vajpayee calls on the Former Prime Minister of Japan Mr. Junichiro Koizumi in Tokyo on December 10, 2001. 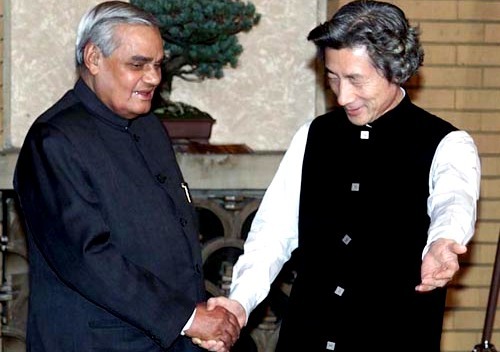 With the turn of the twenty-first century, India and Japan elevated their bilateral relationship to a new qualitative level with 2001 Vajpayee-Koizumi Agreement on “India-Japan Global Partnership”- centering on twin pillars of broadening and deepening the development of bilateral relations with meeting global challenges. The equation got further elevated with Modi-Abe’s pledge of “Special Strategic Global Partnership” in 2014 and with Abe’s 2015 visit the relationship transcended to a new high of “Special Strategic and Global Partnership”. These shifts in the relationship exemplify the importance both India and Japan attach to each other- strong alliance built on trusted friendship. “[India-Japan is a] key relationship with the largest potential for growth, into a deep, broad-based and action-oriented partnership, which reflects a broad convergence of their long-term political, economic and strategic goals”. Making the ‘glass look full’, Abe’s India visit has given a new impetus to the unfolding dynamics in global politics. It signals a strong bandwagon to outset China both in India’s strategic space as well as in the Indo-Pacific theater, where ‘China’s assertive action’ calls for a strong ‘countervailing force in reaction’. In this spirit, it is important to note that both Modi and Abe have strongly committed to realize a peaceful, open, equitable, stable and rule-based order in the Indo-Pacific region and beyond. India and Japan pledged to uphold the principles of sovereignty and territorial integrity; peaceful settlement of disputes; democracy, human rights and the rule of law; open global trade regime; and freedom of navigation and overflight. In joining the strategic dots, it is clear that China lies at the heart of this joint commitment. Wherein, both India and Japan face severe challenges from China in terms of territorial sovereignty and unresolved disputes (India-China boundary dispute and Diaoyu/Senkaku islands dispute in East China Sea) and most recently, the heightened maritime challenges in the South China Sea (China’s land reclamation activities) and Indian Ocean Region (String of Pearls, China’s 21st Maritime Silk Road Initiative and others). That is, the united bid aims at fighting the odd (China) by acting even. First, with economics being the pinnacle, the key achievement has been the $15 billion deal in building the high-speed Japanese Shinkansen bullet train connecting Mumbai with Ahmedabad. Japan agreed to offer $12 billion soft loan at an interest rate of 0.1 per cent with repayment over 50 years and a moratorium for 15 years. This deal is a landmark as it comes after Japan lost its bid to China on a $5 billion rail deal in Indonesia. While winning the Indian bid, Japan has ousted China’s push for the project. In acknowledging Japan’s role in India’s economic transformation, PM Modi stated “No partner has played such a decisive role in India’s economic transformation as Japan. 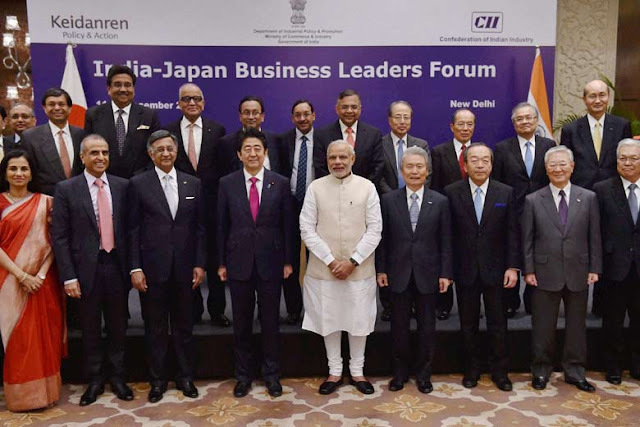 No friend will matter more in realizing India’s economic dreams than Japan.” Besides, in furthering Modi’s vision of “Make in India”, Japan pledged $12 billion to fund the initiative and also build industrial townships in India. Second, the civil-nuclear energy agreement, marked the biggest achievement for India. As this vital agreement paved its way after five years of protracted negotiations- bringing the ‘trust’ back to the relationship, lost in the aftermath of India’s 1998 nuclear flagship. This pact will boost India’s economic growth as this energy merger will quadruple India’s present 5,000 megawatts of nuclear power to 20,000 megawatts by 2020 - significantly satisfying the energy demands needed for the economic outgrowth. Highlighting the importance and confirming India’s benign stand towards the deal, PM Modi described it as a “shining symbol of a new level of mutual confidence and strategic partnership”. Third, defence and security ties, wherein Japan is now an official partner in the India-US Malabar Exercises. This is a strategic move by India to jointly counter maritime challenges in Indo-Pacific. It is mainly aimed at countering China’s increasing unilateral moves in the South China Sea, which serves as an important Sea lane of Communication (SLOC) along the Straits of Malacca. Besides, the two sides have also agreed on transfer of the defence equipment and technology and exchange of other security measures for the protection of classified military information- further strengthening the strategic ties. Besides, these three key imperatives, the two sides also agreed to collaborate in areas of infrastructure, manufacturing and high technology, including advanced transportation systems, solar power generation, space, biotechnology, rare earths and advanced materials- magnifying the scope the bilateral relationship. Apart from the strategic significance of hard power politics, the Modi-Abe cordial also witnessed a symbolic underpinning with Abe’s grand welcome at Varanasi- adding the cultural quotient to diplomacy. It also reflects the spiritual connect that India-Japan envisage over Buddhism and further strengthens India’s claim on Japan as its ‘most trusted friend and ally’. In an overall assessment, what stands strong is that India and Japan quantify a ‘strong all weather friendship’ as that of China and Pakistan. In drawing the parallels between the two, India-Japan equation plays a pivotal role in balancing the strategic dynamics against China in East Asia, in similar undertone as China does with Pakistan in influencing the strategic environment against India in South Asia. What can be posited is that, China acts as the primary catalyst in defining and driving the India-Japan bond from friendship to that of strategic partnership. 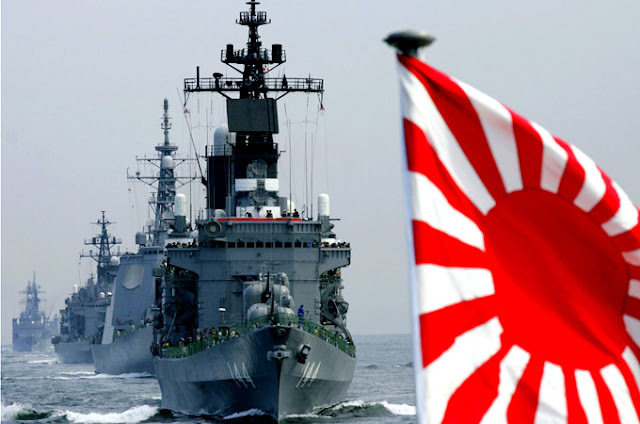 Given the power dynamics of a multi-polar world, India-Japan nexus acts as the key lynchpin for United States to safeguard its strategic interests in the Indo-Pacific. With a strong alliance in the making to outset China’s rise, India and Japan act as strong players in the global political theatre both individually and collectively. 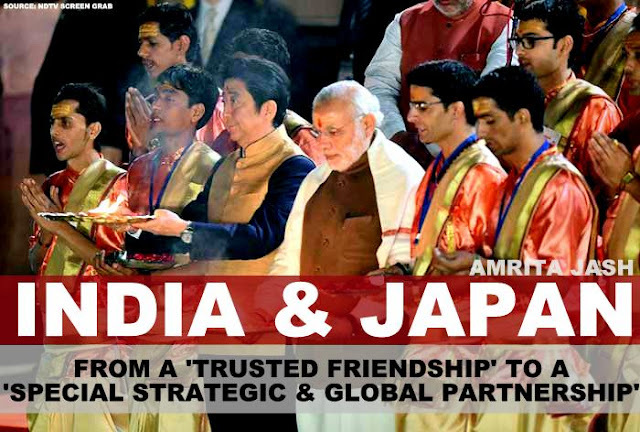 That is, India and Japan are anchored in a ‘trusted friendship’- which will only grow stronger with time if not weak. Therefore, what is next after ‘Special strategic partnership’ for India and Japan is the significant watch of the hour.